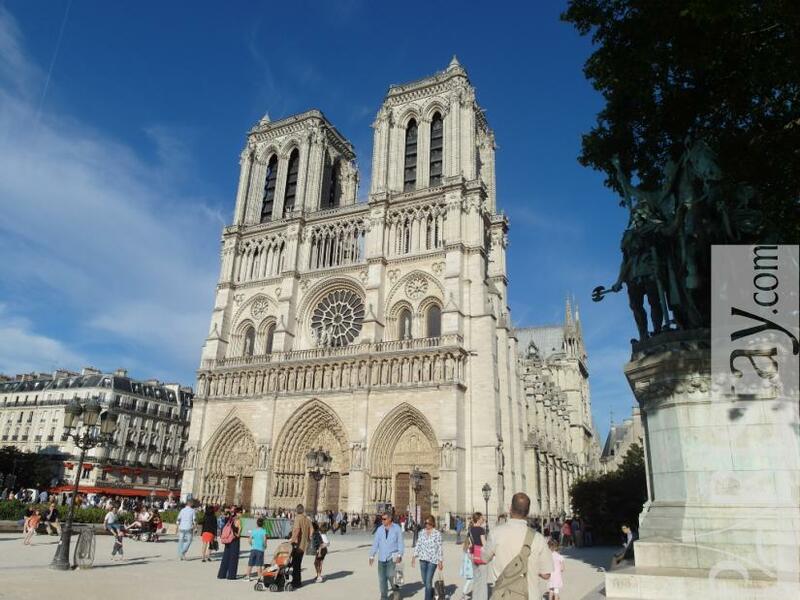 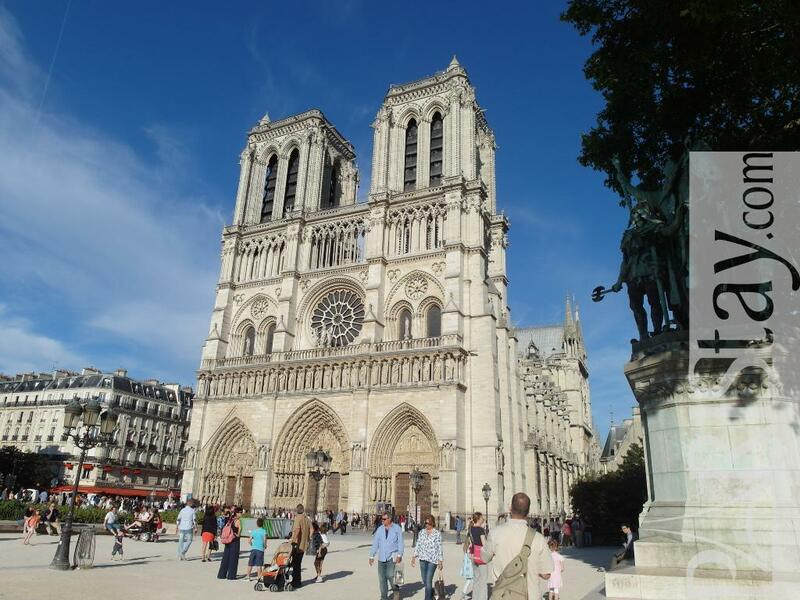 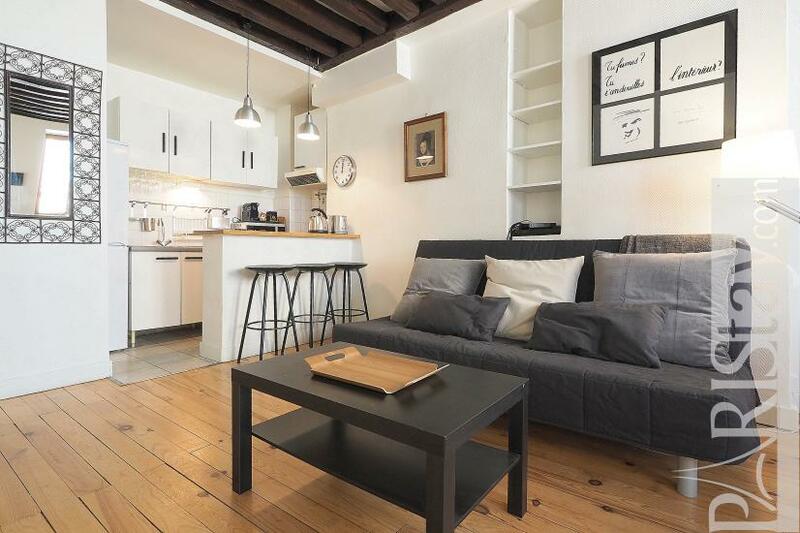 Certainly one of the most charming districts where to stay in Paris, in the historc Paris, heart of the Latin quarter, close to Place Saint Michel, Notre Dame de Paris, Sorbone university, and 2 steps form main monuments and museums! 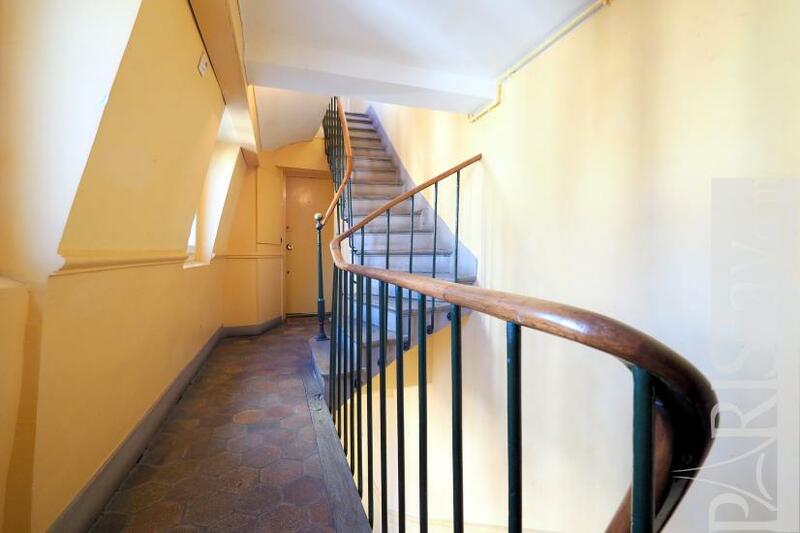 It is as easy to walk everywhere in town than using various convenient transportation links that leads to the apartment : metro, bus, velib, batobus (boat), even a RER train line that goes to Château de Versailles. 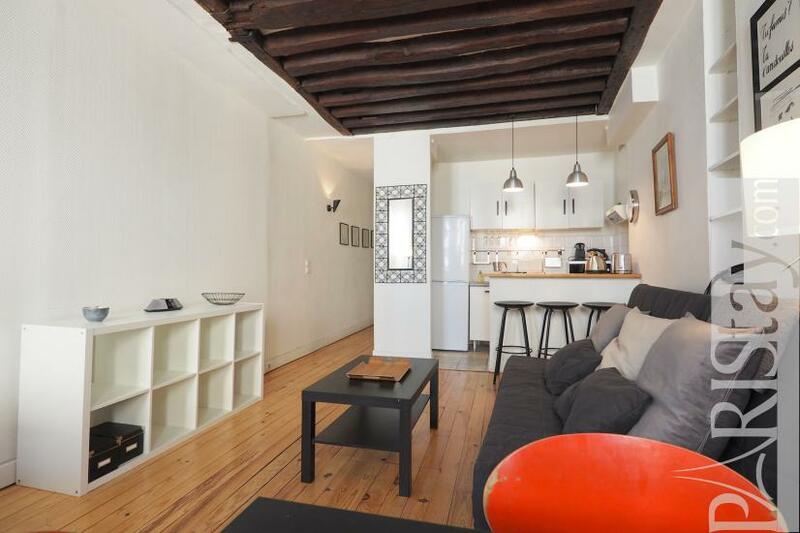 This Paris One bedroom apartment for rent is located in the sough-after Rue de la Huchette, in a historic building (XVI), on the 5th floor with no lift. 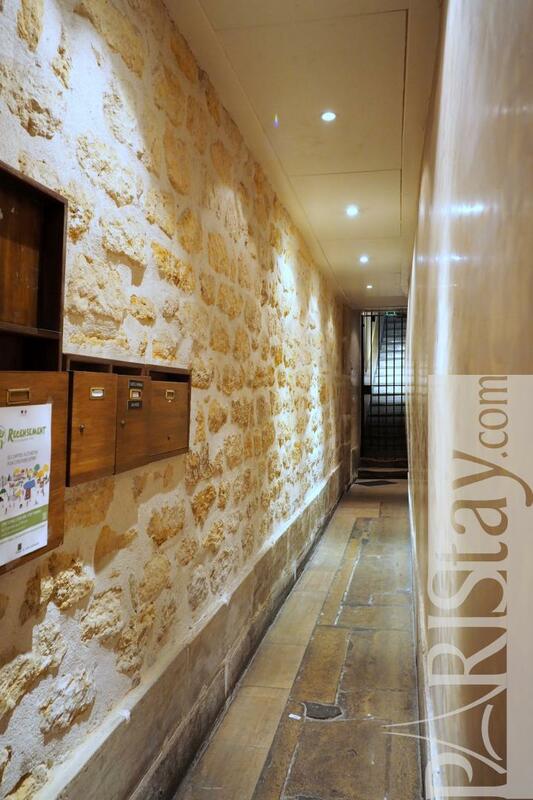 There are two secure doors to come in (code and intercom). 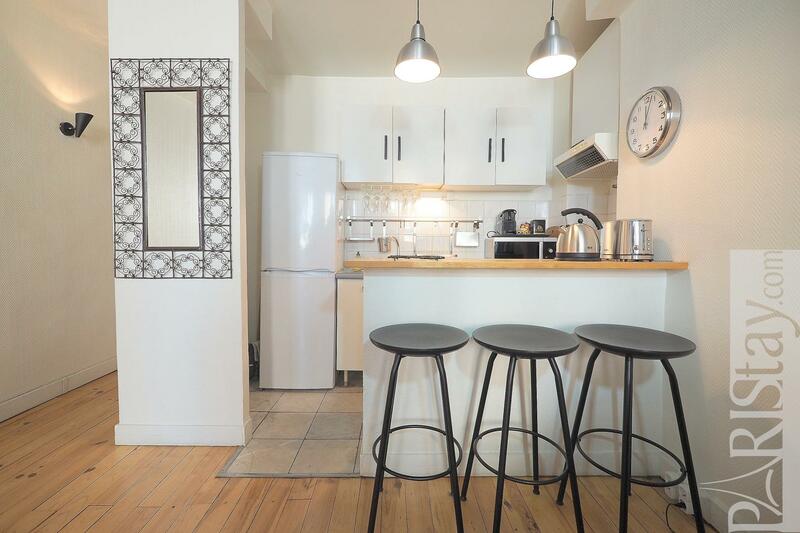 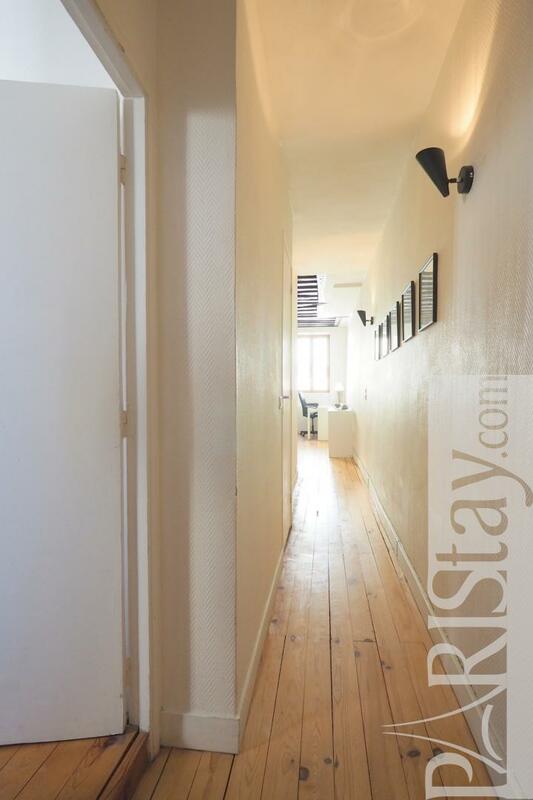 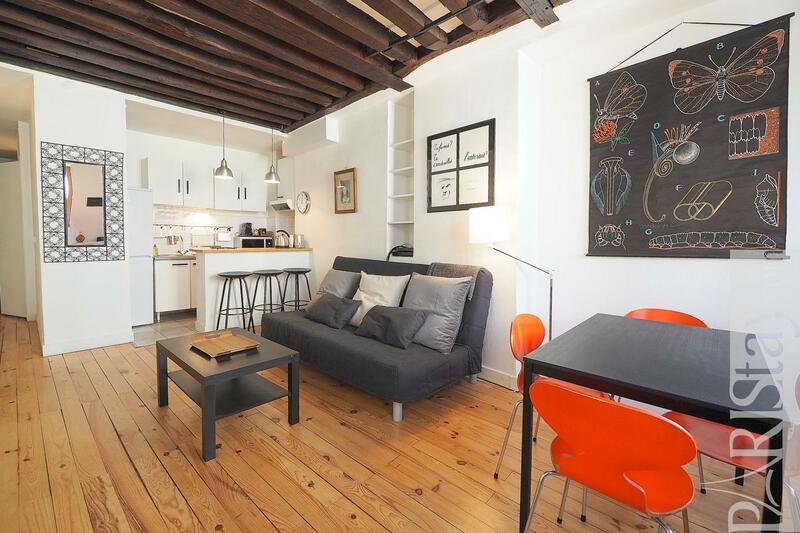 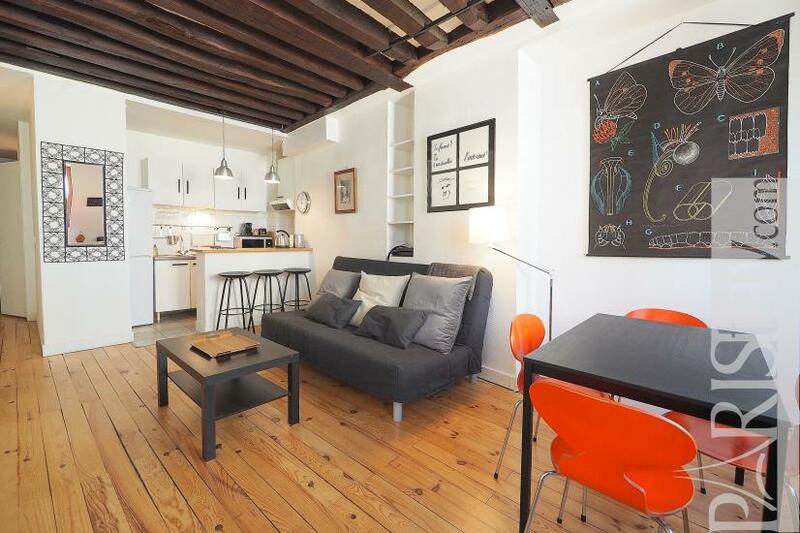 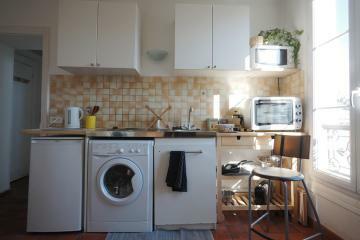 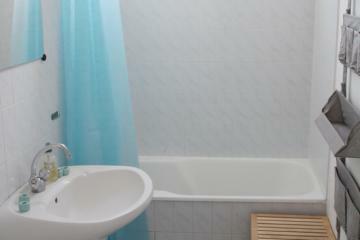 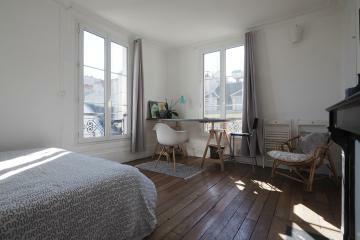 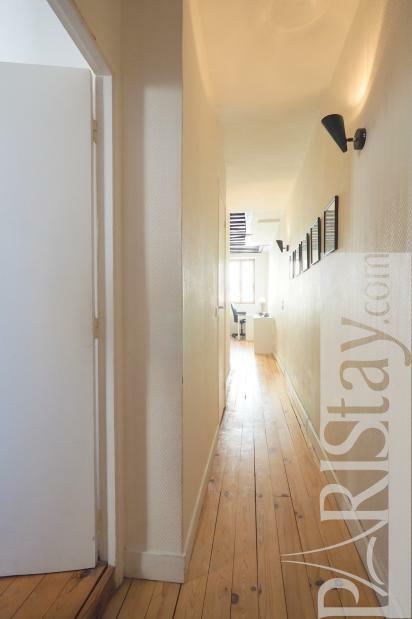 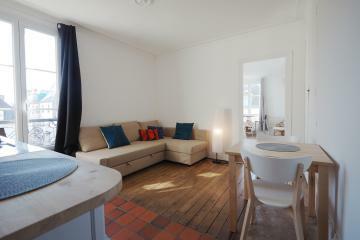 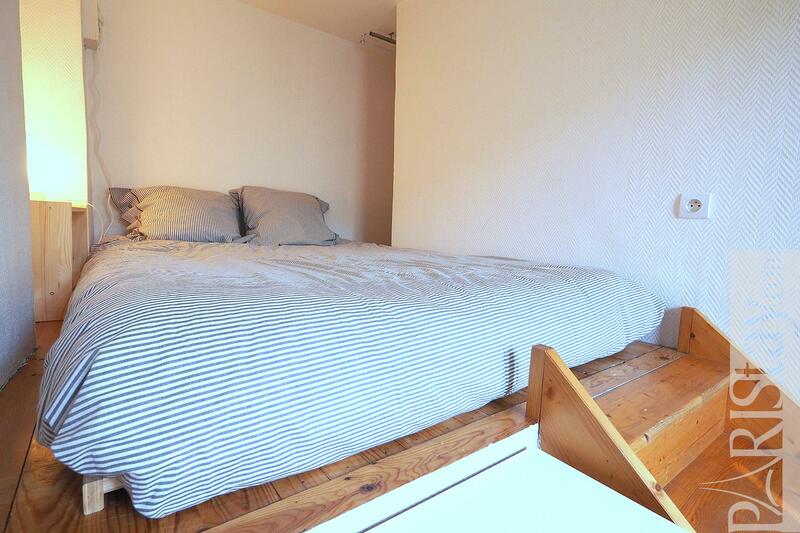 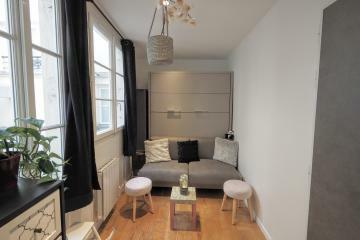 The apartment has been totally renovated, and equipped for long stay rentals in Paris. 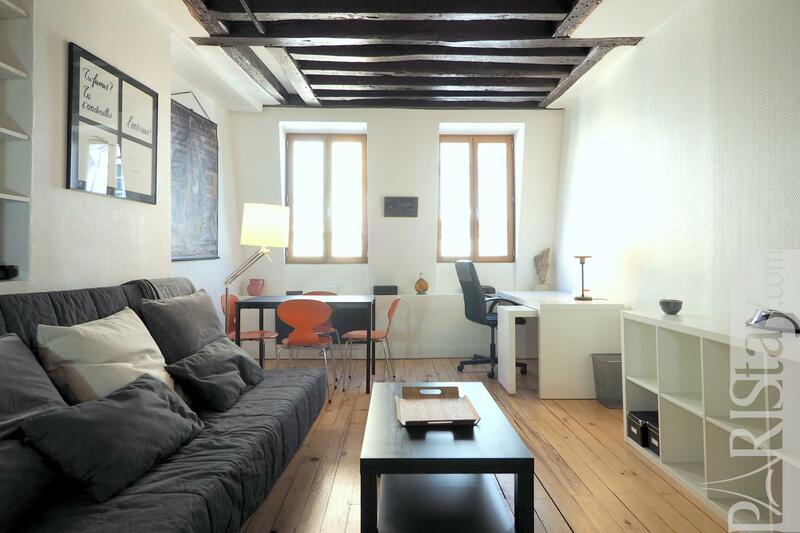 It offers a spacious and bright living room with beautiful beams and two large windows. 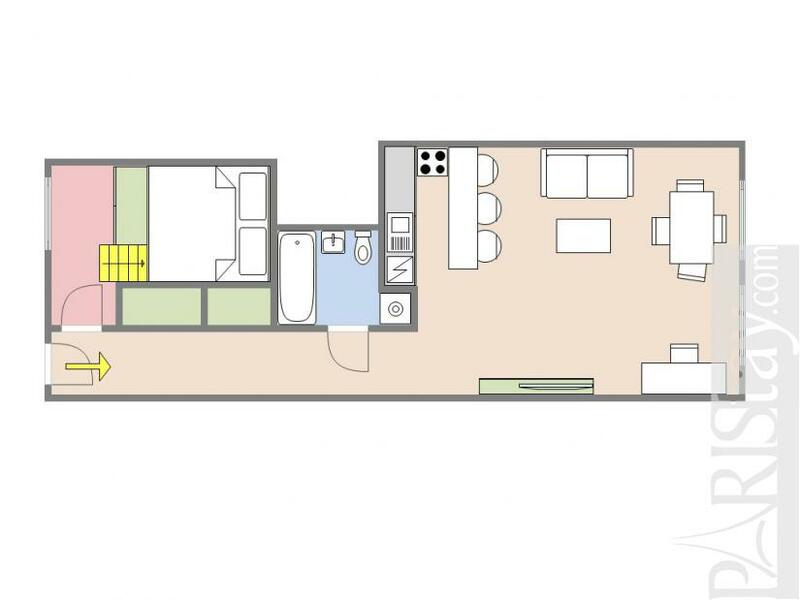 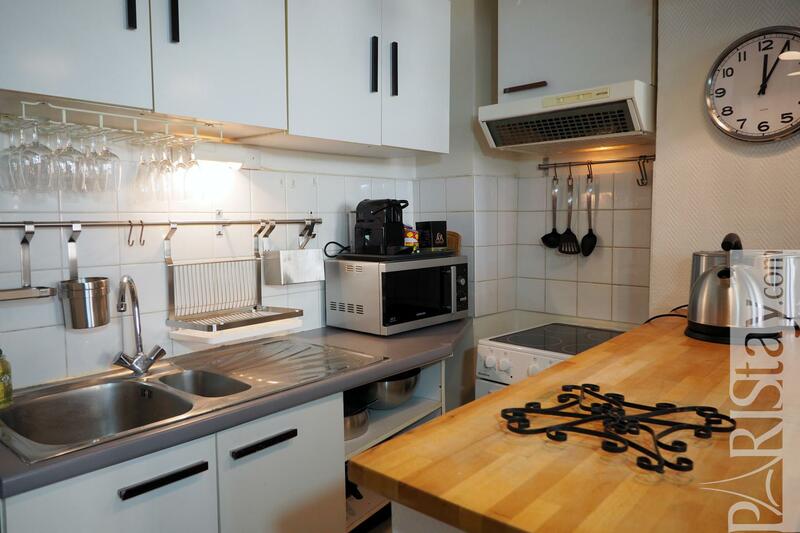 There is a fully equipped kitchen corner with bar that seats 3 people in addition to a dining table that seats 4, a desk with office chair, and a sofa bed. 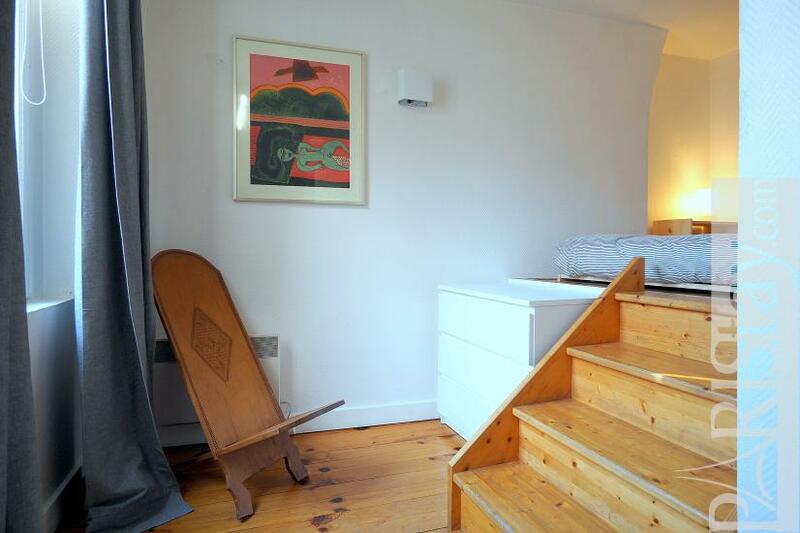 The cosy bedroom is on a quiet courtyard and offers a double bed with an easy access by a steps staircase. 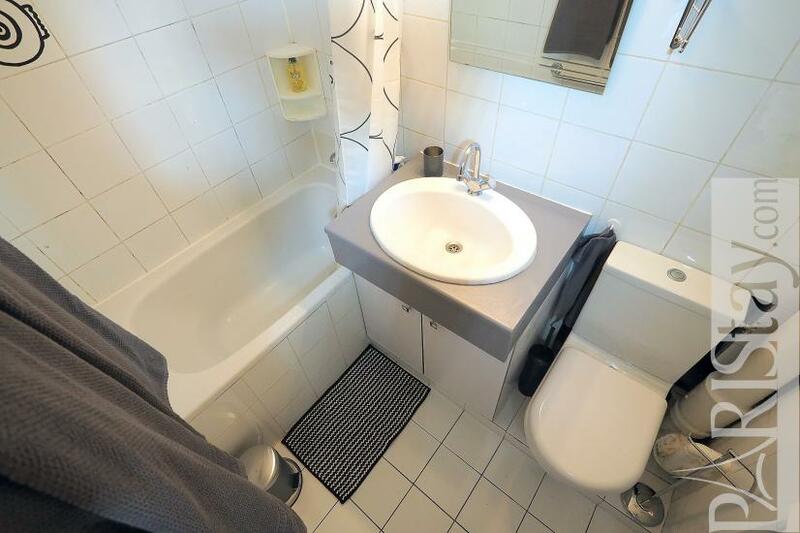 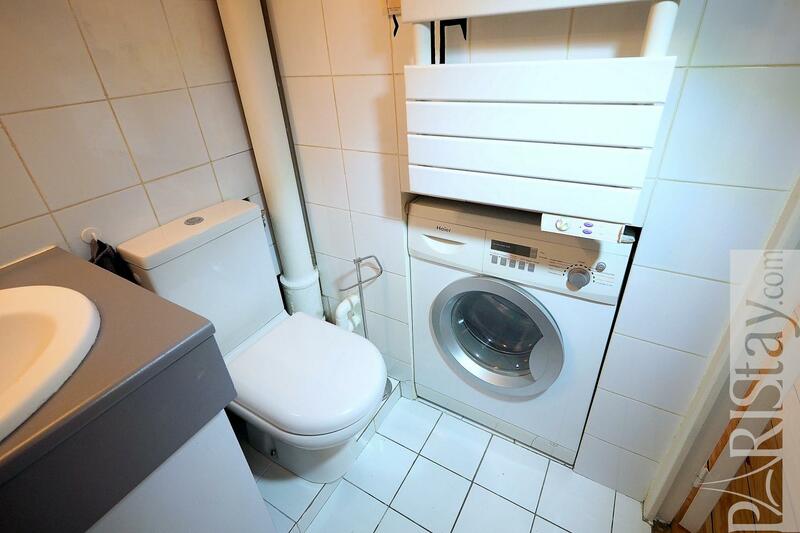 There is also a bathroom with bath, waching machine / dryer and toilet. TV, unlimited internet access. 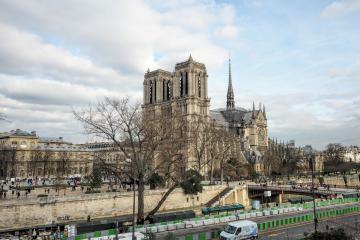 Enjoy your stay in Paris ! 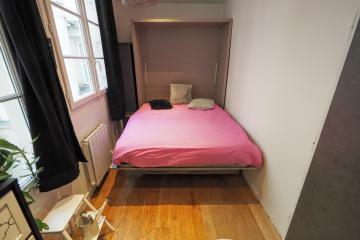 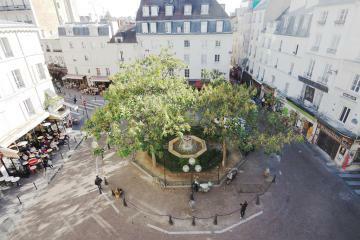 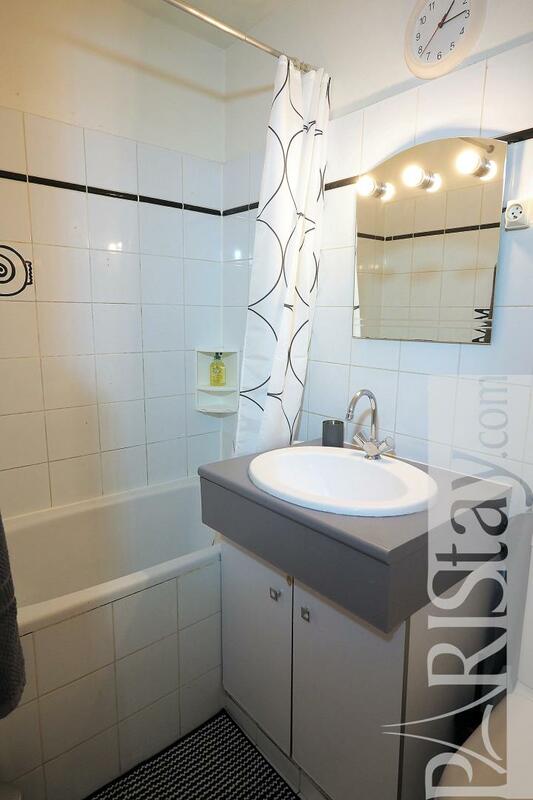 5 rd floor, without Lift, entry code security system, 1 bedroom Appartement, furnished, Approx: 45m² / 484 Sq.Ft.